Safety is paramount at Blue Collar People and we maintain our training to regulate a safe working environment for all. 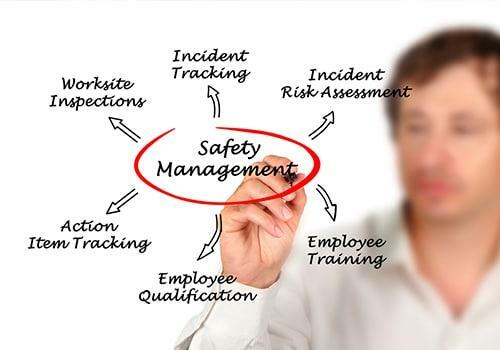 We abide by the Occupational Safety and Health Act 1984 moderated by WorkSafe (Western Australia). We ensure safety is at the forefront of our practice; all Blue Collar workers are inducted by watching a mandatory safety video and completing a questionnaire. This must be successfully completed before workers are hired out. We ensure our workers have the correct training, skills and certificates because appropriate placement of skilled workers for each of our clients is of utmost importance. We understand you might need workers to undertake drug and alcohol testing and have police clearance, and we take care of all that for you. Once a worker has been assigned to you, you will then need to provide a site specific safety induction relevant to your workplace. To ensure that you can carry out your job in a safe manner workers are required to have their own personal protective equipment (PPE). Any other necessary PPE will be provided by either Blue Collar People or by our client. If required and in the event of an accident workers must inform their jobsite supervisors and Blue Collar People. Workers will be treated with fairness as the accident is investigated and resolved. If you’re considering using our labour hire services but have further questions regarding our safety practices, just let us know. We’d be happy to answer your questions.